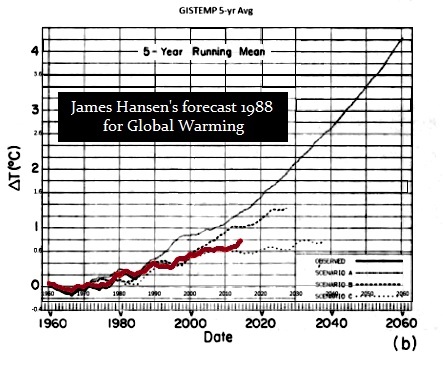 The Wall Street Journal just published a review of the Global Warming Forecasts for the past 30 years. They have not even come close to the scenarios they put forth back in 1988. 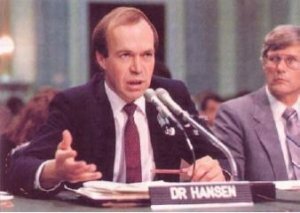 On June 23, 1988, the then NASA scientist James E. Hansen who helped to start all this nonsense testified before the Senate Committee on Energy and Natural Resources. He stated that he expressed had a “high degree of confidence” in “a cause-and-effect relationship between the claimed CO2 induced “greenhouse effect and observed warming.” That is how government characterizes something when they are guessing – “high degree of confidence” which was the same words used to invade Iraq who had weapons of mass destruction. He later came out and said: “Simply stated, there is no doubt that Saddam Hussein now has weapons of mass destruction.” (August 25, 2002). The CIA Director testified before Congress and said:“We said in the estimate with high confidence that Iraq had them.” (see TranscriptWashington Post). Why does anyone EVER believe those in government? They cannot even forecast GDP accurately when they fudge the numbers. 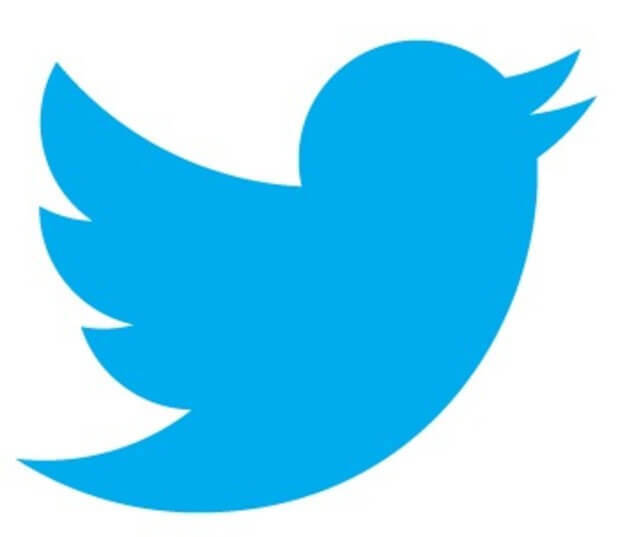 (TLB) published this article from where it first appeared at Armstrong Economics. Good points , I would not couple Saddam and Iraq with global warming.If there is any military connection it is geo engineering, we are sprayed daily and no one knows anything about it. i have emailed the EPA and Attorney General and not had any response. The military industrial,corporate complex is a tough nut to crack! Climate science is only one scam out of many that are too numerous to mention here, but have cost taxpayers billions of dollars over several generations! It is far more sensible to understand and copy nature than to be deluded into thinking one can rise above it—or even marginally impact it. In this context, supernatural is more natural.